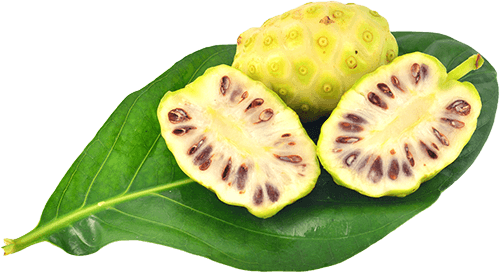 SUPER PREMIUM NONI leaves quality, hand-selected tree, one by one, washed and dried in oven for 24 hours in humidity and temperature requires with rigorous quality control and manual packing by our professionals. La Huerta de Mamá María · Tenerife · Canary Islands, the largest NONI Plantation in Europe. 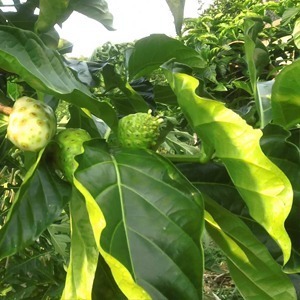 NONI leaves in Huerta de Mama Maria are harvested by hand directly from the tree, selecting the most optimal and mature as SUPER PREMIUM Soursop leaves quality. 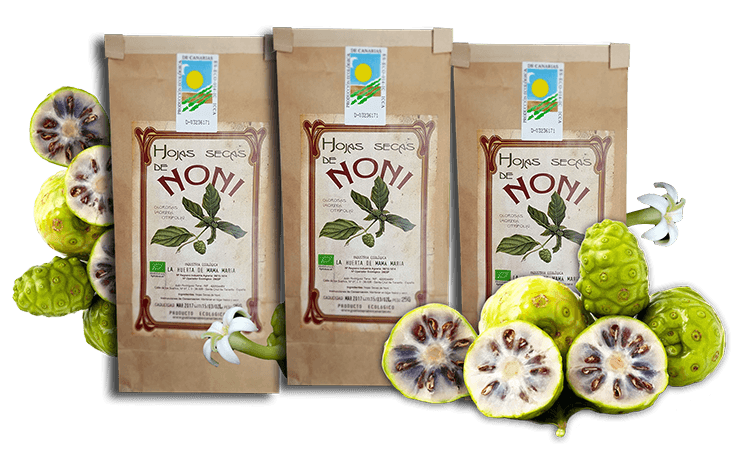 After being washed several times with desalinated drinking water, the NONI leaves pass a train drying, at a specific temperature and humidity during all process that makes our SOURSOP leaves are of the best quality there are in the world, thus preserving intact its active ingredients, structure, color and natural aroma. Upon completion of the drying process each NONI Leaves are reviewed one by one and packed by hand in kraft paper bags, as is said, package contains a window in which you can appreciate the extreme quality of the leaves and each bag has its numbered ecological certification that guarantee that our NONI leaves are 100% organic. 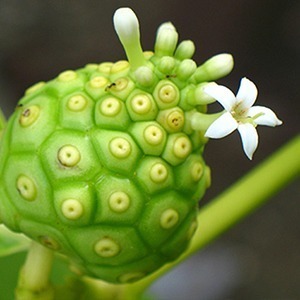 What is the NONI?, it is a tropical fruit native from Asia a that grown in La Huerta de Mama Maria for more than a decade in Tenerife, in the Canary Islands that presents a result of truly exceptional quality, motivated by the best climate, organic farms, technical reazons, biological directions, high quality controls, volcanic substrates, ... that exist in the resti of world production areas, so GUANABANA de CANARIAS, our Canarian NONI and its leaves are the benchmark for quality in the soursop cultivation world. 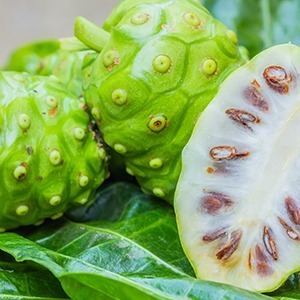 Our NONI crops in Tenerife, pioneers and the largest in Europe, strictly comply with all environmental requirements of the Organic Regulators from Canary Islands, Spain and the EEC, ensuring that there are no toxic substances or pesticides in our fruit or our soursop leaves. 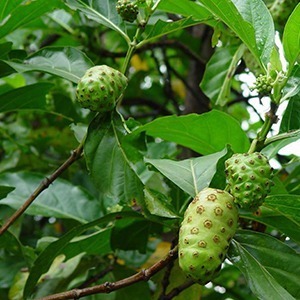 Likewise, our plantation of 1,000 mature NONI trees, 15 years grown in our greenhouses, under the strictest levels of biological control and the most exquisite personal care for quality, produce the tastiest fruits and the best NONI leaves.